A tranquil setting with a sea breeze, the sound of waves lapping onto the beach and the warmth of the Indian sun, Goa is the perfect location to unwind. Whether you’re looking to spend your holiday pampering yourself, master yoga techniques or just enjoy a treatment or two, we have the right holiday for you. With our Spa holidays, you can discover a variety of treatments, from age old therapeutic methods to contemporary spa principles of aromatherapy and energy healing. 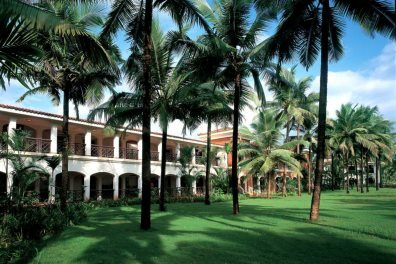 Our handpicked range of Spa hotels will really help you to relax, unwind and revitalise whilst surrounded by the beautiful Goan scenery. Originating thousands of years ago, these authentic Indian treatments incorporate massage with carefully selected hot oils, which are chosen depending on your body type. 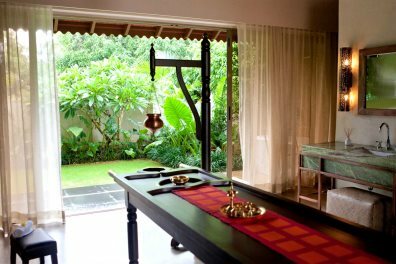 Ayurvedic treatments are designed to help your body detoxify and cleanse, help stress relief and rejuvenate – the perfect complement to your holiday in Goa. 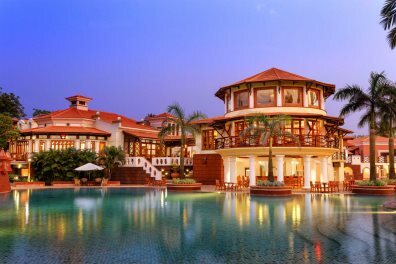 The most luxurious hotel in Goa, The Leela, is a tranquil oasis set in 75 acres of immaculate grounds with water lily-filled lagoons, meandering through lush green gardens and by a soft white sand beach that is second to none. Set in 45 acres of beautifully landscaped gardens, shimmering lagoons and meandering waterways, the ITC Grand Goa is one of Goa’s finest hotels. Hidden away on the hillside, deep in the Goan jungle, Nilaya Hermitage is an extraordinary getaway, built from local rust coloured laterite stone, complimented with shades of blue and the lush greens of the surrounding forest. 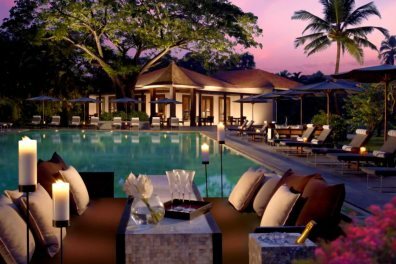 With a spectacular setting hidden amongst coconut groves and surrounded by verdant rice paddies, the luxurious Alila Diwa is a welcome new addition to our Luxury Collection. Holistic healing treatments can help you strive towards complete wellbeing, as it focuses on the body as a whole – incorporating your emotions, spirit, body and mind. Holistic massage is a popular form of treatment as it’s unique to you, and explores the causes of any tension before selecting the appropriate treatment. Set directly on the beach in lush manicured gardens filled with tropical flowers and coconut palms, the Taj Exotica more than lives up to the quality reputation of the Taj group name. 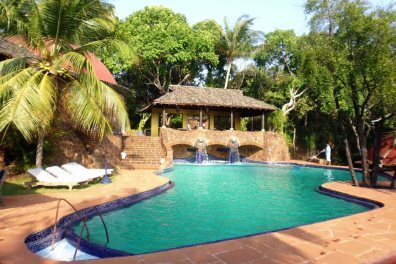 Originating in India more than 5,000 years ago, yoga is a popular activity in many Goan hotels. Book one of our recommended Yoga hotels and enjoy authentic yoga classes on beautiful green lawns, and soak up the glorious morning sun. 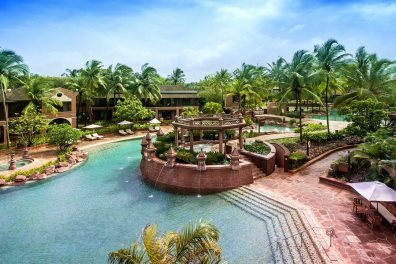 Set in 45 acres of beautifully landscaped gardens, shimmering lagoons and meandering waterways, the Park Hyatt Goa Resort & Spa is one of Goa’s finest hotels.